Making booking a breeze for backpackers across Europe. 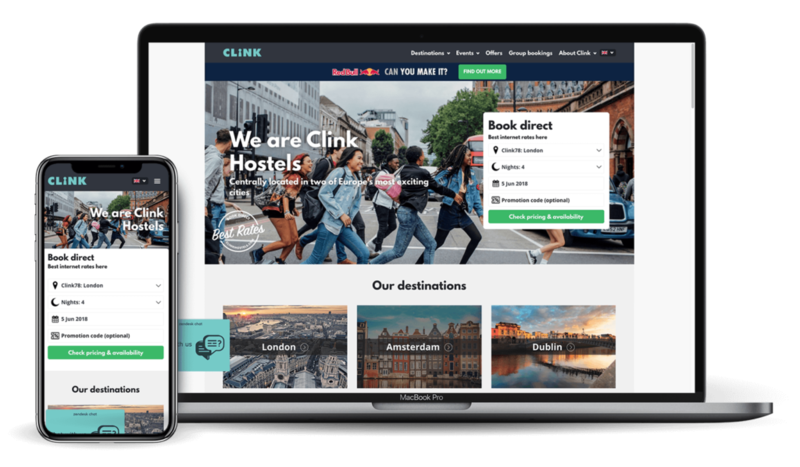 With three hostels across London and Amsterdam and more in the pipeline, Clink Hostels offer affordable accommodation for backpackers in welcoming surroundings and needed a scalable web solution to help them expand. They not only needed to help promote their new Amsterdam hostel but make booking into one of their stylish rooms easier. We started with a full website audit, giving us a roadmap to optimise on-page and off-page content before moving on to a redesign of their most important landing pages and a new booking system with a mobile first approach which also catered for multiple languages.